Nursing Home Compare is a user-friendly web tool found at https://www.medicare.gov/nursinghomecompare/search.html that provides information on how well Medicare- and Medicaid-certified nursing homes provide care to their residents. Nursing Home Compare allows consumers to select multiple nursing homes at a time to compare the health inspection history, staffing levels, and self-reported quality of care outcomes, information that can assist them in choosing the facility that best meets their needs or the needs of their family member. The sixth new quality measure, the antianxiety/hypnotic medication measure, is not incorporated into the Five-Star Quality Rating because it has been difficult to determine appropriate nursing home benchmarks for the acceptable use of these medications. CMS launched Nursing Home Compare in 1998. In 2003, CMS added quality measures to the health inspection and staffing information already on the site. 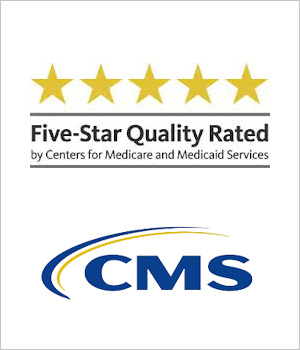 In 2008, CMS implemented a Five Star Nursing Home Quality Rating System to summarize much of the detailed information on Nursing Home Compare so that consumers could more easily distinguish among nursing homes. Since 2008, CMS has been continually adding information to Nursing Home Compare, including facility ownership information, sanctions against nursing homes, and the full text of nursing home inspection reports. A star rating is provided for each of these three sources. These three ratings are combined to calculate an overall rating. Almost all nursing homes receive a rating. Facilities with fewer than two inspections do not. Nursing homes vary in the quality of care and services they provide to their residents. Reviewing health inspection results, staffing data, and quality measure data are three important ways to measure nursing home quality. This system gives patients and their families important information and helps people compare nursing homes, as well as think of questions to ask when visiting a nursing home. However, the Five-Star Quality Rating system should not be a substitute for visiting a nursing home. As part of a broader effort at data transparency and consumer choice, CMS hosts a number of sites to help those seeking health care compare various facilities based on star ratings. They include: Hospital Compare, Physician Compare, Medicare Plan Finder, Dialysis Compare, and Home Health Compare. These star rating programs are part of the Administration’s Open Data Initiative which aims to make government data freely available and useful while ensuring privacy, confidentiality, and security. In addition to a three month preview of the data before they are incorporated into the Five Star Quality Rating System, we are phasing the measures into the star rating system gradually, beginning in July, when the new measures will only be counted at half of their full value. In January 2017, we will fully count the new measures.